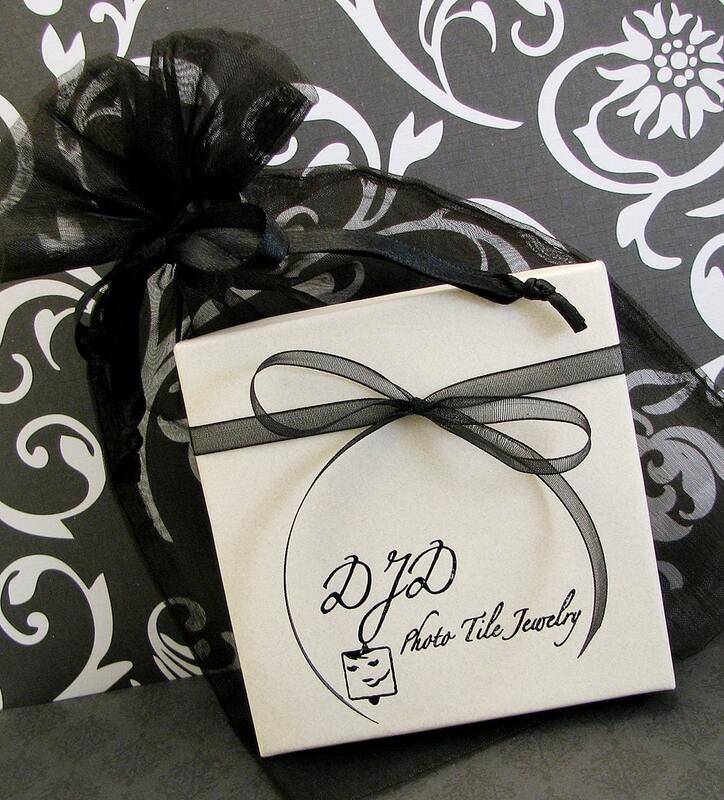 This is a gorgeous, sterling wrapped photo pendant. 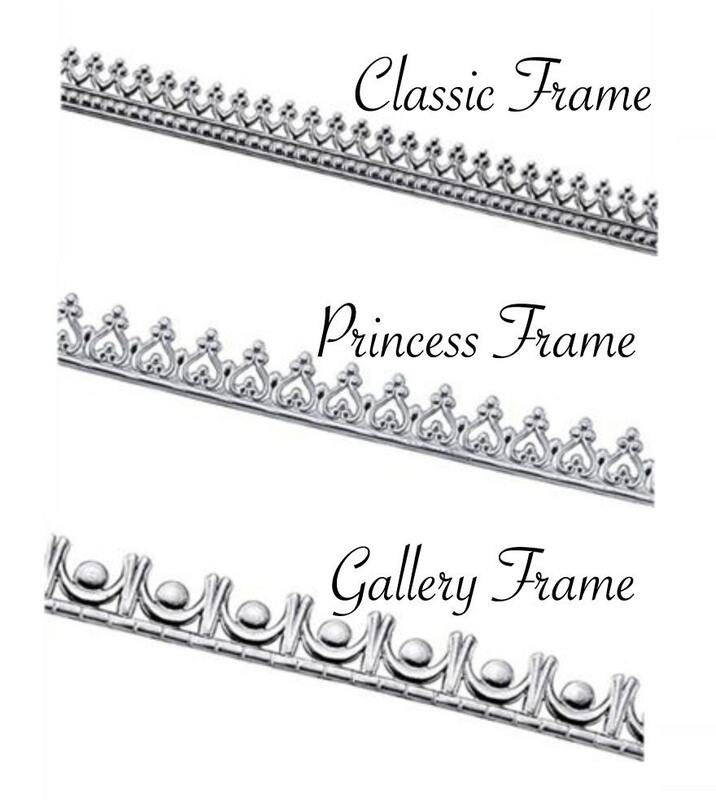 Choose your favorite frame style from the photo above. 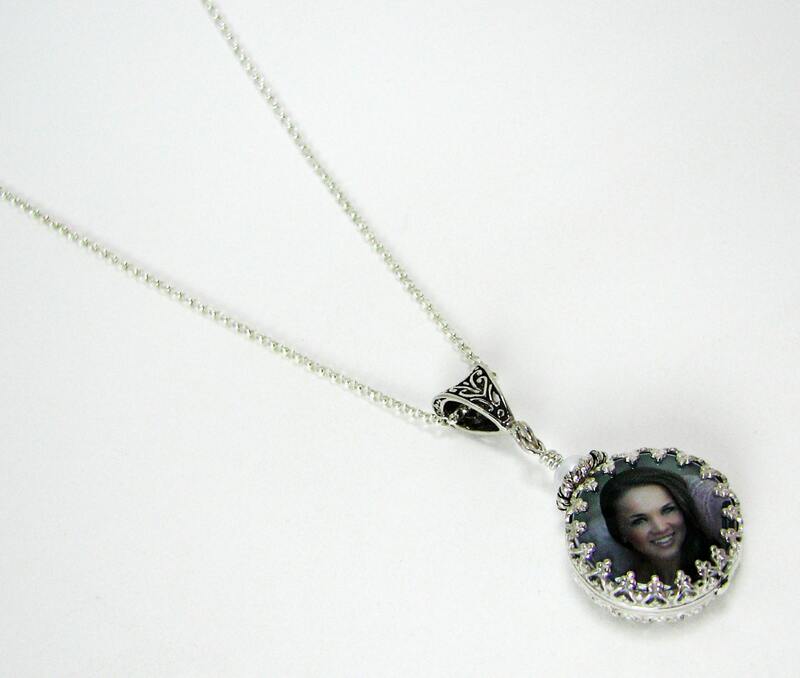 This photo pendant is in my Princess style frame with inverted hearts. It measures .65" across and comes on a sterling Rolo chain that is available between 16-22". It comes with a 1" extender for your most comfortable fit. 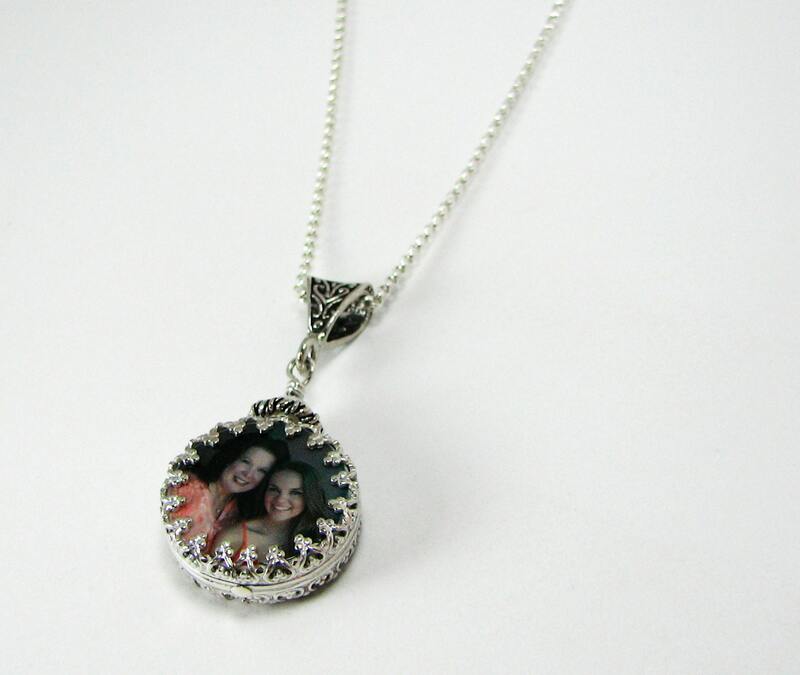 This photo pendant is designed to display two photos, or request a custom designed text image for the back - no charge. 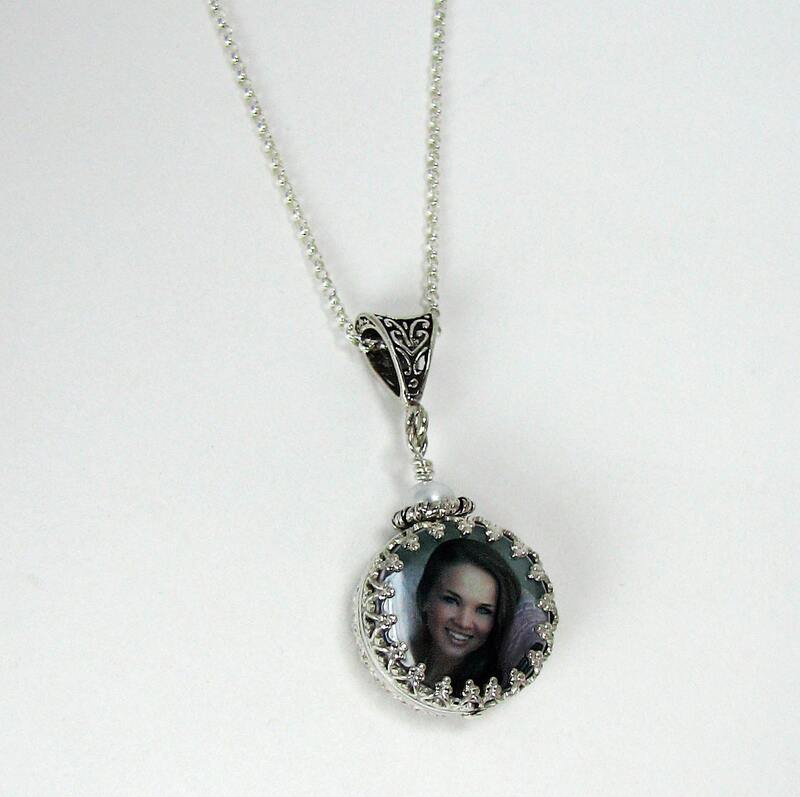 This pendant makes a beautiful memorial for a bridal bouquet. This pendant hangs from a fancy bail that has a large enough opening to accommodate most chains if you prefer just the pendant. Also available in 14K Gold; quote by request.